cnic sites in the surroundings of Nis include the Sicevacka Klisura gorge – a 16 km-long protected natural feature with rare plants and animals; the Jelasnicka Klisura gorge – a special 2 km-long nature reserve with waterfalls and rare plants and animals; the Bojanine Vode holiday resort; Kamenicki Vis – a holiday resort with winter sports facilities; and Cerjanska Pecina cave, 4 km long, with spacious chambers beautifully decorated in cave formations (stalagmites, stalactites, etc.). Town Sremski Karlovci is located 11 km from Novi Sad and 57 km from Belgrade, on the right bank of Danube. 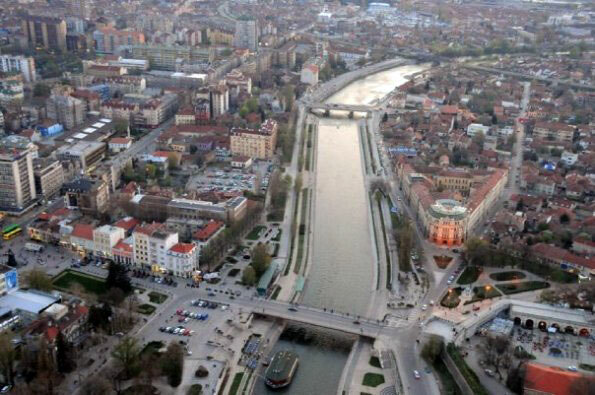 It used to be spiritual, culturan and educational center of Serbia for over 200 years. The baroque style buildnig surrounding the fountain in the town center and with its two tall bell towers, the 1762. Gathering Church of St. Nicholas is a mastepiece iconostas of Serbian baroque. The Patriarchat Palace, the residence of the Srem District Episcope is considered to be Vojvodina's most remarkable 19th century building. Sremski Karlovci is also famous for production of excellent wine.